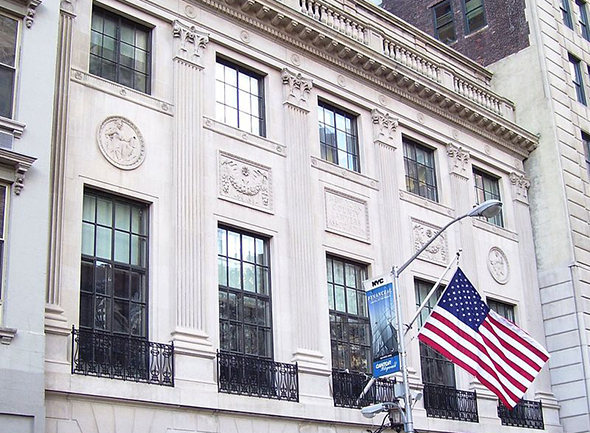 The New York County Law Association is looking to sell its Downtown Manhattan headquarters, an 87-year-old building that is likely worth at least $30 million. The association is marketing 14 Vesey Street, a four-story landmarked building that spans 40,000 square feet, Crain’s reported. CBRE’s Edward Midgley, Timothy Sheehan and Daniel Kaplan are handling the listing. CBRE will also help NYCA find a new home if the building is sold. The asking price is not yet clear, but office space in the area has gone for more than $500 per square foot. The building can be converted to several different uses, including a museum, a boutique office, retail or a members-only club. Michael McNamara, NYCLA’s president, said the organization, which was founded in 1908, no longer needs as much space because much of its once-vast library is now digitized.